During the MWC 2017, the smartphone company Vivo in Shanghai surprised everyone by launching the world's first such phone, which was given in-sighting fingerprint sensor on the touch screen. At the time, only the prototype of such a phone was presented, but now soon it is going to knock off this amazing smartphone market. Vivo's upcoming Smartphone Display 7 leak has come up, in which the phone's designs, features and specifications have been reported. 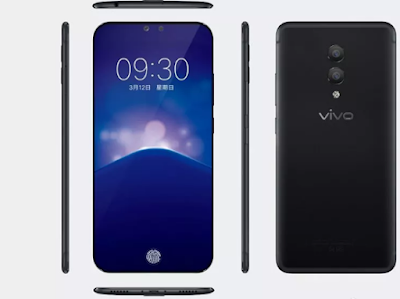 Some render images of Vivo Express 7 on Weibo have been shared in which phone designs, color variants, as well as its features and specifications have also been received. According to Leak, this phone of Vivo will be a True Bezel Lace Phone which will be offered on 100% body ratio. The phone will be screened only on the front panel and the phone will be given a selfie camera and finger print sensor on the same screen. The fingerprint sensor of the phone will be at the bottom of the screen which will not show up. According to the leak, this phone can be launched with 128GB of RAM and 256 GB of storage variants with 8 GB of RAM. At the same time with this Android Oroo, Qualcomm's next Generation Chipset Snapdragon 845 can be seen in this phone. For photography, this phone can be given the Sony IMX 401 camera sensor with 4 x digital zoom. The phone's specifications can not be accurately stated, but it is certain that Vivo Express will be very different and advanced from all the smartphones that came in the 7 tech world so far. It may be said that Vivo will bring this phone to market and bring mobile technology to a new level. 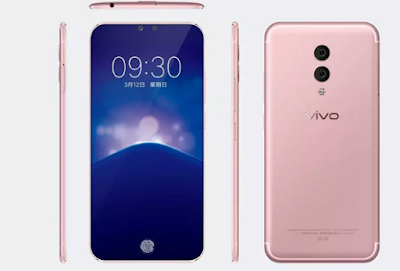 In leaks, Vivo Express 7 is shown in Black, Gold and Rose Gold Color variants.